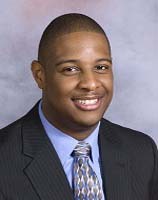 Kimani joined Pyramid Brokerage Company in 2010 directly after graduating from Morrisville State College. Kimani graduated Morrisville State College with an A.A.S Degree in Business Administration and a B.B.A in Entrepreneurship in Small Business Management. Kimani’s primary focus is in the industrial leasing and sales with a minor focus on small office leasing. He has been involved with the industrial council since 2011 and has focused on this market since. Some of Kimani’s notable clients includes: Wilmorite Company, Syracuse Education Opportunity Center, Morrisville State College and Heritage Tire.